Manfrotto distributes Bowen and Limelite products, and they’re now helping release two new Mosaic2 LED panels from Limelite by Bowen. The panels come in Daylight and Bi-Color options. For more details and and pricing, see the full press release below. Upper Saddle River, N.J. (July 6, 2016) – Manfrotto Distribution, Inc., distributor of Bowens and Limelite products in the United States, proudly announces the launch of Mosaic2 LED Panels from Limelite by Bowens. Available in Daylight (5600K) and Bi-Color (3000K-5000K) options, Mosaic2 uses 576 cutting-edge high fidelity LEDs, dimmable from 100-0%, to create 1×1 panels that are extremely powerful and significantly more color accurate than previous models. The new panels are designed for video and broadcast work, both in studio and on location (with optional battery mounting accessories). 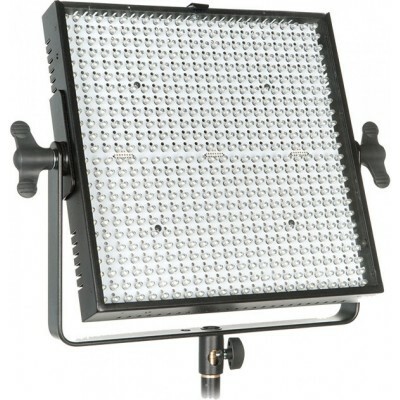 For additional information or to learn more about Bowens and Limelite products, visit: bowensusa.com and limelite.us.com.